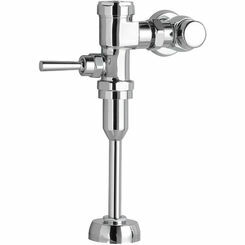 As integral parts of the commercial toilet system, choosing the right flush valve can make all the difference. Fortunately, here at PlumbersStock, we offer a wide selection of great valves from the most trusted brands (Sloan, TOTO, Delta, Moen), we have it all, and for the best prices around! 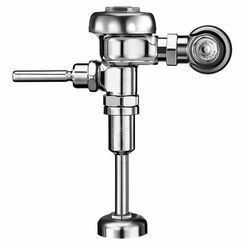 If you are looking for the best in flush valves, whether for your commercial toilets or urinals, here is a small guide to help you learn what you need to know. 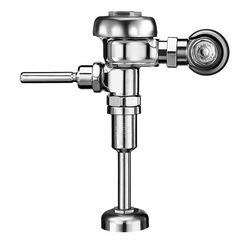 Standard Valves: These flush valves that you will be found on most toilets, where physical contact is needed in order to begin the flush sequence. With these, the user must push a button or a pull a lever to activate the toilet, which can be a nuisance if many people use said toilet. 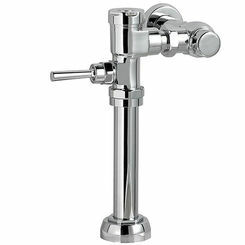 However, they are the cheapest type of flush valve, and are often nearly ½ the price of other types. They also come in the residential or commercial varieties, giving you much flexibility when choosing among them. 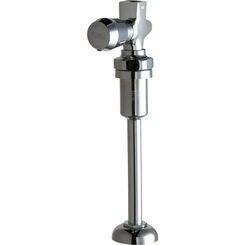 Urinal Flush Valves: Used almost entirely in commercial settings. 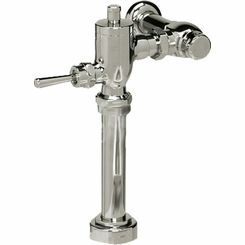 These valves either come with the standard lever or automatic flush capability. 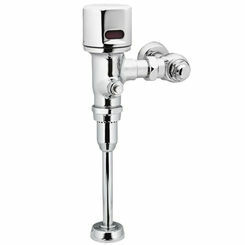 Automatic Flush Valves: These valves are activated by sensor. As soon as the user stands up and walks away from the toilet, the flush sequence begins, eliminating problems caused by forgetful people and an overflow of waste and users. While useful, automatic valves are always more expensive than their standard brethren—regardless of the brand—which can make it hard for small businesses or those with lower incomes to afford them. 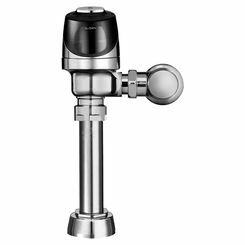 However, automatic flush valves go a long way in keeping bathrooms clean, and can make plumbing system upkeep a lot easier. 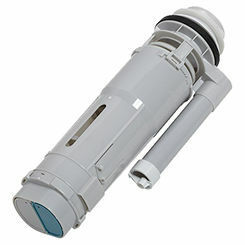 Brand: Many valves do not work with toilets of an opposite brand (i.e. 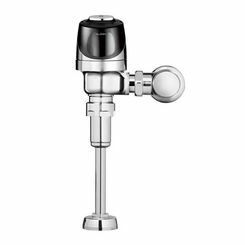 if you have a Moen toilet, you may not be able to use a Sloan flush valve). Though this isn’t always the case, it’s good practice to stick with the brand that you already have (unless you are switching out the entire toilet) as brand valves are optimized to work with their matching brand toilets. 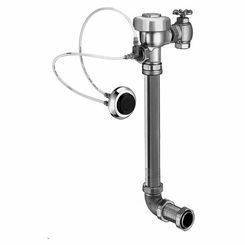 Size: In this instance, size really does matter, as pipe and bowl size can go a long way towards determining if your valve fits or works efficiently. 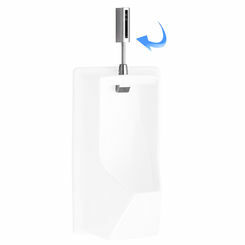 Make sure to make all the necessary measurements before you purchase your urinal flush valve. 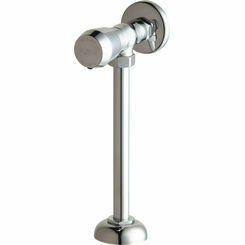 It is assumed that if you are purchasing urinal flush valves, it is for commercial purposes. If you are looking for toilet valves, then you must consider commercial vs residential: Do you have a commercial toilet or a residential one? 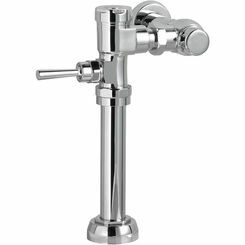 Though it may not seem important, flush valves or normally optimized along these lines. Determine this ahead of time, and make absolute sure you get the matching type. 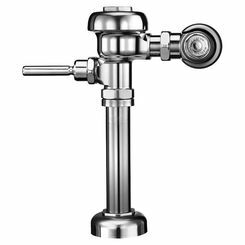 Whether you are looking for an automatic or a standard, a Moen or a Sloan, PlumbersStock offers some of the better valves online, for all the best prices. 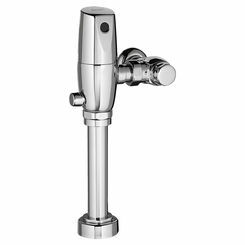 After all, we care about our customers and want to provide only the highest quality products, and that includes urinal flush valves. In the end, if you need more information about our industry leading commercial flush valves, or want to find more great PlumbersStock products, call today so we can help you out. Our customer service representatives are always standing by so you don’t have to worry about a thing; we can’t wait to help you, and we can’t wait to hear from you soon. Thank you for visiting our website! We hope you find what you need!